Last analysis expected downwards movement for Tuesday’s session which is exactly what happened. The short term target has been recalculated. The wave counts remain the same. 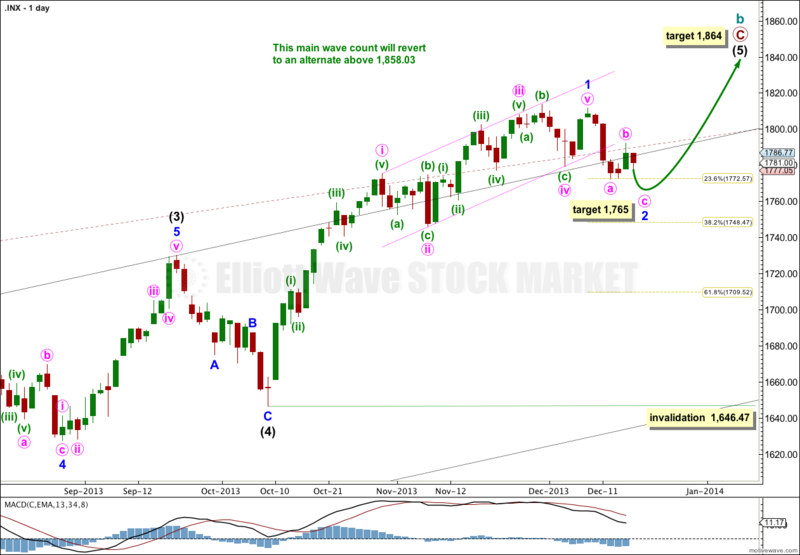 This wave count has a higher probability than the bullish alternate. Upwards movement over the last 4 1/2 years subdivides best as a zigzag. If something is “off” about the supposed recovery then it must be a B wave because there is plenty that is off in this scenario in terms of social mood. We should always assume the trend remains the same, until proven otherwise. This is a huge trend change. I will assume we are yet to see new highs while price remains above 1,646.47. Minor wave 1 is complete because a trend channel drawn about it is very clearly breached by downwards movement. This may be minor wave 2. Minor wave 2 may not move beyond the start of minor wave 1. This wave count is invalidated with movement below 1,646.47. 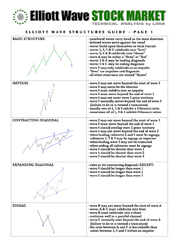 If downwards movement is a second wave correction then so far it is still incomplete. Minute wave c downwards needs to complete, and is highly likely to at least make a new low below 1,772.28 to avoid a truncation. Within minute wave c there is no Fibonacci ratio between minuette waves (i) and (iii). It is very likely that minuette wave (v) will exhibit a Fibonacci ratio to either of minuette waves (i) or (iii). At 1,765 minuette wave (v) would reach equality with minuette wave (iii). 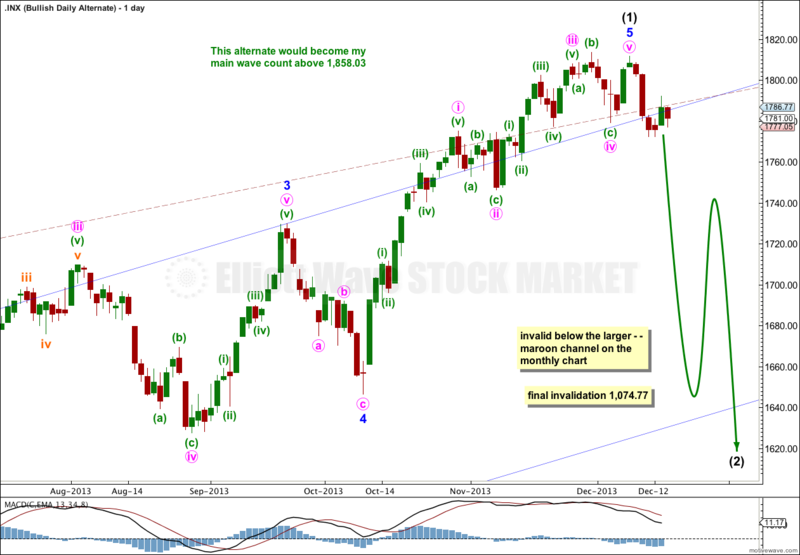 This would see minute wave c end slightly below 1,772.28 and about the mid line of the parallel channel. I would expect the last wave down to complete the entire correction for minor wave 2 to end tomorrow. I will publish my 5 minute chart for those of you who may be interested. It shows the subdivisions within minute waves b and c so far. We should always assume the trend remains the same, until proven otherwise. “The trend is your friend”. This wave count is possible, but we have absolutely no confirmation of a trend change at cycle degree. 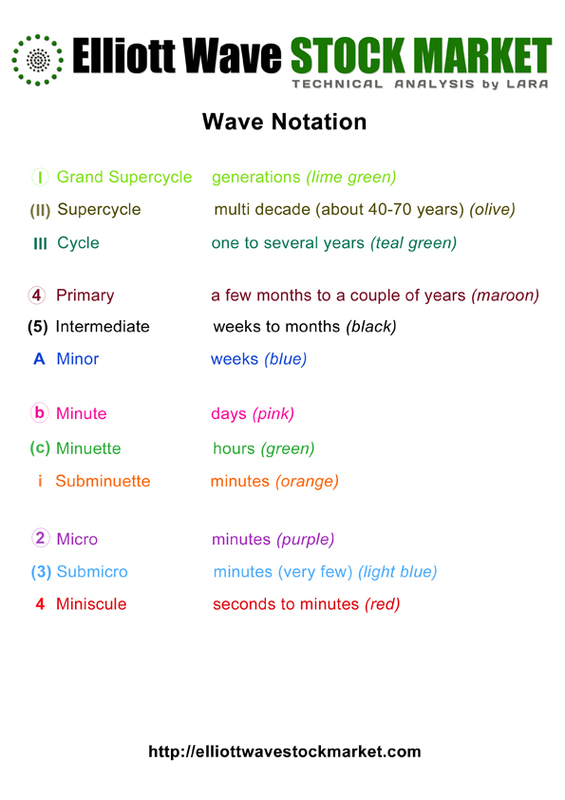 By simply moving the degree of labeling within intermediate wave (5) up one degree it is possible to see cycle wave b completed at all wave degrees. On the hourly chart the subdivisions for this wave count would be the same as the hourly chart above, except instead of being labeled a-b-c it would be labeled 1-2-3. When the possible fourth wave arrives it will provide an indication as to whether or not this wave count is correct; if price moves back above 1,772.28 then upwards movement could not be a fourth wave correction as it would be in what would be first wave price territory. The main wave count would require movement above this point. Within cycle wave b primary wave C is 47.06 longer than equality with primary wave A. Upwards movement may have found final resistance at the upper edge of the maroon channel drawn about the whole of cycle wave b from its start at 666.79. 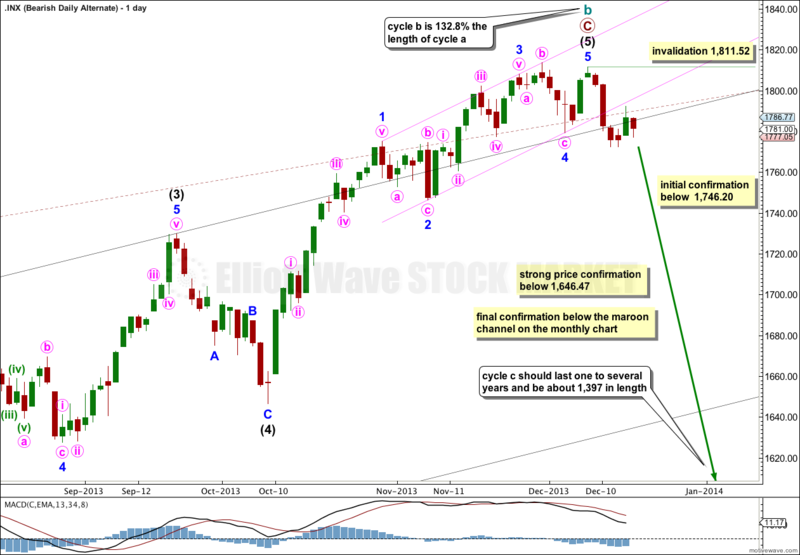 Cycle wave b is 132.8% the length of cycle wave a, within the common length of 100% to 138% for a flat correction. Because cycle wave b is over 105% the length of cycle wave a this would be an expanded flat which normally expects a C wave to move substantially beyond the end of the A wave. Movement well below 666.79 would be expected for this wave count. Strong price confirmation of a trend change would come with movement below 1,646.47, and with invalidation of the main wave count above. At that stage both this wave count and the bullish alternate would be correct, and this would be my main wave count. For this bearish wave count the big maroon channel on the monthly chart needs to be breached. If that occurs then the bullish alternate would be discarded, and this would be my only wave count. Within cycle wave c no second wave correction may move beyond the start of its first wave. 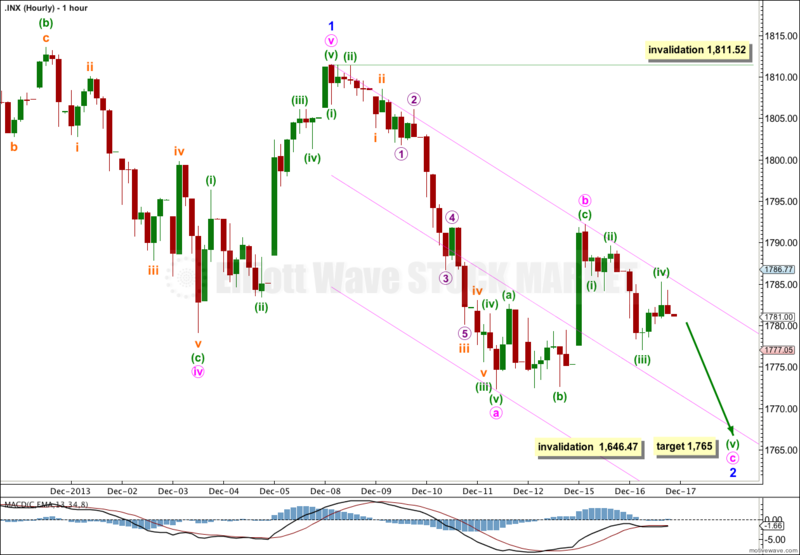 This wave count is invalidated with movement above 1,811.52. It is possible that a new cycle degree bull market began at 666.79. So far it is not yet halfway through, and I would expect it to last for a few years (at least five more years and probably longer). The current upwards impulse, labeled intermediate wave (5) for the main wave count and minor wave 5 for this alternate could now be completed. At this stage both wave counts could see a trend change. The bearish wave count expects a huge cycle degree trend change, and this alternate expects an intermediate degree trend change. If the downwards movement subdivides as a three and remains within the maroon channel then this alternate would be preferred. If it breaches the channel this alternate would be discarded. The maroon – – – channel is an acceleration channel drawn about primary waves 1 and 2 on the monthly chart (it is drawn in exactly the same way on the main wave count, but there it is termed a corrective channel). I would not expect intermediate wave (2) to breach this channel because a lower degree (intermediate) wave should not breach an acceleration channel of a higher degree (primary) first and second wave.